The east coast has a storied history in regards to thesubject of asylums and mental hospitals. The landscape is dotted with imposing Gothic structures like Eastern State Penitentiary– built to house and rehabilitate the mentally ill and criminally insane. Their foreboding architecture and lurid accounts of torturous experimentation tend to grip our horrified imaginations—they’re haunted houses on a massive scale, and as such they tend to make excellent settings for scary stories. One such story is Dennis LeHane’s novel “Shutter Island”, a haunting yarn about a federal marshal traveling to Ashecliffe, a mental hospital on the titular island, to investigate the mysterious disappearance of a female patient. Boston-bred LeHane’s novel is, like his previous works “Mystic River” and “Gone, Baby, Gone”, is naturally suited towards cinematic adaptation. 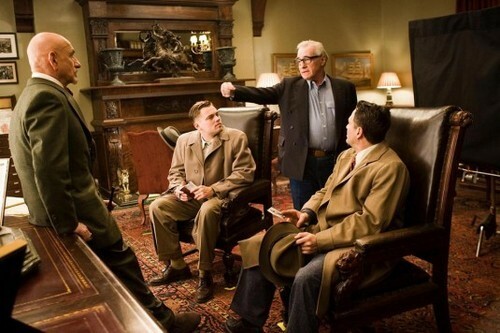 In 2010, its potential as a provoking horror film was realized in SHUTTER ISLAND, director Martin Scorsese’s feature follow-up to his Best Picture-winning film THE DEPARTED (2010). Writer Laeta Kalogridis adapts LeHane’s prose to the screen, keeping the book’s setting of an isolated island somewhere in Boston Harbor and the 1950’s timeline intact. Scorsese and company combine multiple locales around the greater Boston area to form the eponymous island on which federal marshal Teddy Daniels (Leonardo DiCaprio) arrives to investigate the disappearance of a patient named Rachel Solando. Accompanied by his new partner Chuck Aule (Mark Ruffalo), Daniels commences his investigation by interviewing various patients, employees, and the facility’s head, Dr. Cawley (Ben Kingsley). However, strange behavior and conflicting testimony leads Daniels to believe that something is amiss about the entire situation. Nobody is quite who they say they are, but then again, neither is Daniels, as it is revealed when we find out that he’s using this investigation as an opportunity to locate and kill an inmate named Laeddis, an arsonist who he believes is responsible for his wife’s death. The story builds to a lurid twist of a climax that dares to venture into the innermost chambers of the psychotic mind. While the twist itself may be predictable, it helps to make repeat viewings of SHUTTER ISLAND a completely different experience, as every line, glance, or gesture can be interpreted as entirely different. Thanks in no small part to Scorsese’s direction and attention to generating dramatically rich performances, SHUTTER ISLANDcomes off as more than the sum of its parts—a hauntingly dense horror film that operates on multiple levels. With his fourth collaboration with Scorsese, Leonardo DiCaprio officially gives Robert De Niro a run for his money as the director’s leading-man muse. DiCaprio once again relishes the chance to subvert his boyish good looks with a haunted, twitchy performance as federal marshal Teddy Daniels. For a horror film, the role demands quite the heavyweight performance, and DiCaprio delivers in kind with a nuanced pathos. Mark Ruffalo plays the cool and collected Chuck Aule, a fellow marshal and Teddy’s enigmatic new partner. Veteran performer Ben Kingsley plays the island’s head psychiatrist, Dr. Cawley as a sophisticated dandy and caring father figure to the patients at Ashecliffe. By contrast, Max Von Sydow plays his colleague Dr. Naehring, a German psychiatrist from the Freudian old school—he views everything in terms of Jungian archetypes and styles himself as a Van Helsing who has committed himself to slaying the monsters within man’s mind. Michelle Williams plays Dolores, Teddy’s dead wife that appears to him in ghostly visions as a calming, feminine presence amongst the brutish insanity only to reveal herself as an altogether different monster. Scorsese’s prestige as a director also affords him the opportunity to cast some intriguing names in what amount to extended cameos. The character of Rachel Solando is played by two different actresses- Rachel 1 is embodied in Emily Mortimer, who channels a quiet desperation into her otherwise demure demeanor, and Patricia Clarkson, who is found hiding out in a cliff-side cave and presented as “the real Rachel Solando”, but who may just be a figment of Teddy’s overactive imagination. Jackie Earle Haley plays the deformed, ratty inmate George Noyce, and Elias Koteas appears in a nightmarish dream sequence as the heavily-scarred arsonist Laeddis. Shot by Scorsese’s regular cinematographer Robert Richardson, SHUTTER ISLAND’s anamorphic presentation channels the late Stanley Kubrick in its visual precision and foreboding atmosphere. Ominous storm clouds hang over every scene, casting the image in cold, desaturated blue tones that contrast with the warm, golden glow of several dream sequences. Scorsese and Richardson unify these distinct looks with a stylized lighting scheme that blows out highlights to the nth degree (similar to 1999’s BRINGING OUT THE DEAD) and incorporating strategic use of artful camerawork that keeps us guessing just as much as the characters. Longtime collaborator Dante Ferretti’s realistic approach to Ashecliffe and its environs is augmented by somewhat-noticeable CGI and longtime editor Thelma Schoonmaker’s skillful editing, both of which work together to seamlessly combine the various Massachusetts shooting locales used to double for the fictional Shutter Island. Scorsese wisely doesn’t resort to cheap jump scares to spook his audience—rather, he uses the natural expressionism inherent in the film medium as a classical horror filmmaker might have done fifty years prior. For instance, during a key dream sequence, Scorsese has his actors perform their actions in reverse, which, when the film is run backwards in the edit, gives off a supremely unnerving vibe that the motion isn’t quite right. It’s a simple, yet chillingly effective technique, and Scorsese’s use of it in SHUTTER ISLAND echoes its earlier use in his close friend Francis Ford Coppola’s nouveau gothic film, BRAM STOKER’S DRACULA (1992). In lieu of a traditional composer, Scorsese enlists his longtime music supervisor Robbie Robertson to assemble SHUTTER ISLAND’s soundtrack from a mix of dark classic cues from modern artists like Max Richter, Brian Eno, Ingram Marshall and Gustav Mahler. Richter’s beautiful, elegiac track “The Nature of Daylight” is a particular standout, appearing during a soulful, haunting nightmare Teddy experiences. The scene itself is already stacked with memorable imagery—black ash falling like snow, blood pouring through the cracks in fingers from an unseen wound, a body collapsing into a pile of embers and ash, etc. By overlaying “The Nature of Daylight” over the soundtrack, Scorsese inadvertently creates one of the most poetic, expressionistic, and beautiful sequences in his entire film career. Much like he did in THE DEPARTED, Scorsese finds key junctures to abruptly end his music cues with a hard cut, like someone being forcefully awoken from a dream. The Boston Harbor setting of SHUTTER ISLAND allows Scorsese to return to that particular salt-of-the-earth idiosyncratic brand of personality that he previously explored in THE DEPARTED, albeit with flashbacks and dream sequences that take the action back to Scorsese’s home city of New York. While a gothic horror film about dead wives and insanity is a far cry from the rough and tumble Italian street films Scorsese is best known for, his singular artistic fascinations permeate every nook and cranny of SHUTTER ISLAND. For instance, the confused, merciless slaughter of Nazis lined up in a row speaks to Scorsese’s penchant for rendering violence as sudden, unpredictable, and horrifyingly chaotic. A tattoo of the crucified Jesus Christ emblazoned across the back of an inmate is indicative of Scorsese’s long association with Roman Catholic imagery and dogma. His usage of gothic iconography throughout the film—candelabras, an ominous storm, spooky shadows and dark, cavernous spaces—evokes the imagery of classical horror films from cinema’s golden age heyday while further pointing to Scorsese’s obsession with film history and its disparate genres. 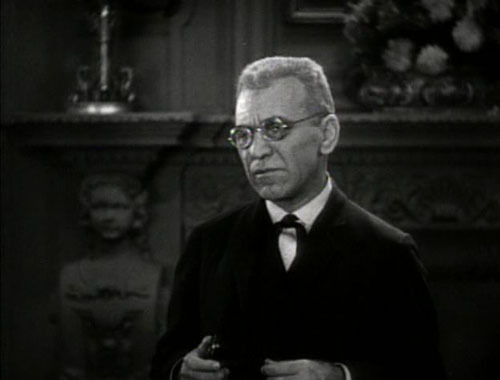 Tod Browning’s DRACULA (1931) comes immediately to mind, no doubt owing to Max Von Sydow’s round glasses and mad scientist-esque demeanor evoking the character of Van Helsing, while still other elements of SHUTTER ISLAND’s direction point to the best of Alfred Hitchcock’s work. After its initial premiere at the Berlinale film festival, SHUTTER ISLAND went on to become Scorsese’s highest-grossing film to date. Despite a mostly positive critical reception, the film is seen by the larger film community as something of an albatross in Scorsese’s late-era career—a misstep or misguided choice, as if doing a horror film was beneath a director as prestigious and respected as he was. However, Scorsese’s first foray into horror proves just as successful as his last genre venture- 1992’s CAPE FEAR. Both films take major cues from the work of Hitchcock rather than attempt to emulate the trends and fads of modern chillers, and in the process achieve a transcendent timelessness. With the great majority of his career behind him, the aging Scorsese proves he still has a few unexpected surprises in store. This is not to say that SHUTTER ISLAND doesn’t have its share of flaws, but it is, by and large, an extremely underrated film that easily outclasses its genre contemporaries to become something of a modern classic. 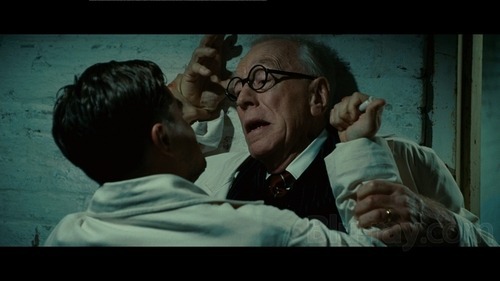 SHUTTER ISLAND is currently available on high definition Blu Ray via Paramount.